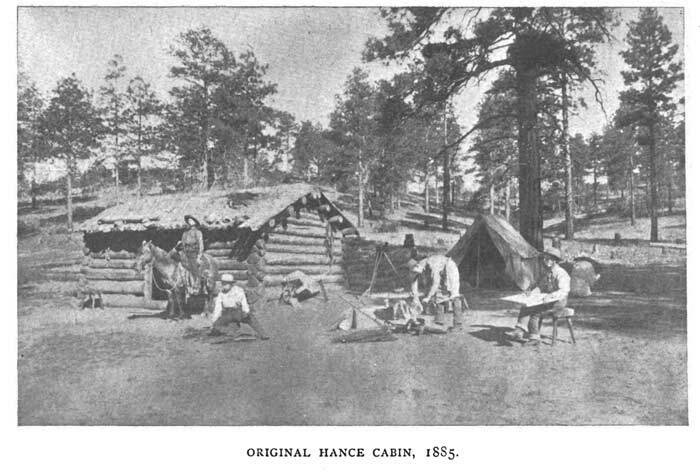 In the late 1800s, legendary Grand Canyon tour guide John Hance invited his clients to record their comments in his guestbook. In 1899, the manager of the stage line that served Hance’s business published a compilation of those comments. 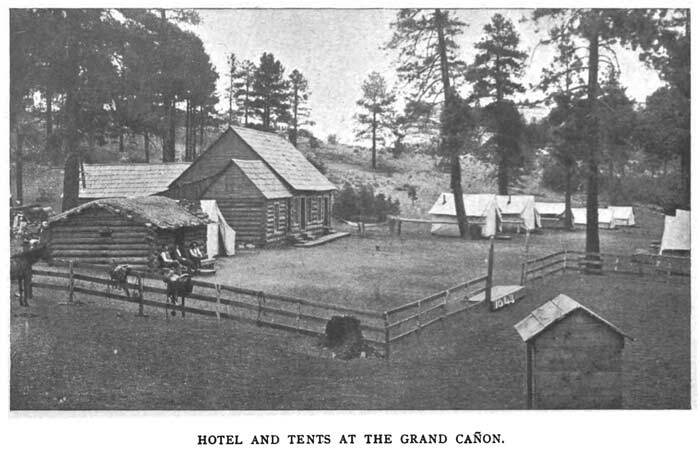 Today, that book, Personal Impressions of the Grand Cañon of the Colorado, is a valuable window into the perspectives of 19th-Century Grand Canyon tourists. This is the fourth post in a five-part series on the subject. 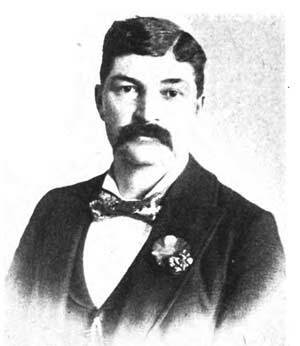 John Hance, as he appears in a photograph printed in Personal Impressions. 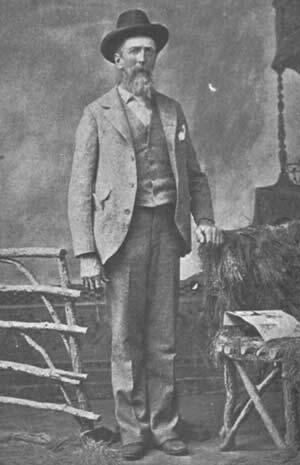 “Captain” John Hance told of digging Grand Canyon himself and piling the debris to the south, where it comprised the San Francisco Peaks. He described how, during an atmospheric inversion, it was possible to snowshoe across the canyon on cloud tops. He explained a missing fingertip by noting that he had “plumb worn it out” pointing at all the pretty scenery. Hance’s tall tales are legendary, and we know from his guests that his stories were well received. God made the cañon, John Hance the trails. Without the other, neither would be complete. The Grand Cañon is here … Captain John Hance is here, too. He will interest you if the cañon doesn’t. Hurrah of the Cañon and John Hance. By all means visit the Grand Cañon of the Colorado River, in Arizona. See Hance, too. In his way, Hance is as great as the cañon. Next to the Grand Cañon, Captain John Hance and his trail are two of the greatest wonders of the world. The half was never told. Any one who comes to the Grand Cañon, and fails to meet Captain John Hance, will miss half the show. I can certify that he can tell the truth, though it is claimed by his friends that he is not exactly like the Rev. Geo. W. in that particular, as he can do the other thing when necessary to make a story sound right. Long live Captain Hance. John Hance is half and the Grand Cañon is the other half. Captain John Hance — a genius, a philosopher, and a poet, the possessor of a fund of information vastly important, if true. He laughs with the giddy, yarns to the gullible, talks sense to the sedate, and is a most excellent judge of scenery, human nature, and pie. To see the canon only, and not to see Captain John Hance, is to miss half the show. Many appreciations to Captain John Hance for adding greatly to the pleasure of my trip to the Grand Canon. A comedy without the comedian is not fully enjoyed; the cañon, without Captain Hance, is not complete. In testimony of Captain Hance’s idea of truth. If Dickens had only been John Hance, what a book he could have written. As to John Hance, he is very gentlemanly, but a curiosity of the rarest type. Captain John Hance, our faithful guide, is quite as unique in his way as the cañon itself. Captain Hance, with all his lies, is a most trustworthy individual. Special thanks to Captain Hance. Splendid guide, in spite of his economy of the truth. Captain Hance’s birthday, forty-eight years old. May his years to come be as many as the tales he tells; but this, we are afraid, would prolong his life far into the millennium. I believe all the Captain’s stories to be true, and if any one in the future should doubt, send him to me that I may do battle with him. To Captain John Hance, Grand Cañon of the Colorado. The thing I most admire about Captain John Hance is his conscientious truthfulness. I have perfect faith in all of the stories he has told me. Pleased with everything, even Captain John Hance. From Capt. John Hance, I wage. Whose mendacious inventions outdo all romance. We were much indebted to Captain Hance for his excellent arrangements, courtesy, and his wonderful information. I wonder if this is sarcasm, or if some of Hance’s guests returned home believing all that they had heard. 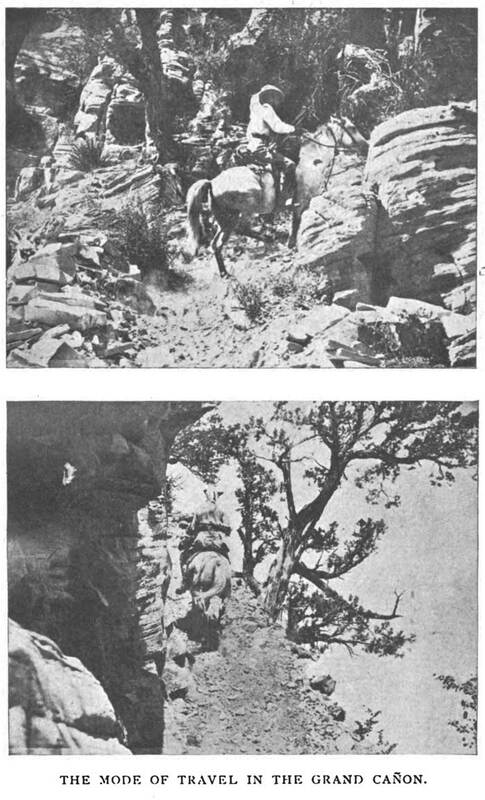 Instead of hiking, many visitors rode one of Hance’s mules. During their trips, they were treated to a variety of entertaining but entirely untrue stories.